Energy synthesis through environment friendly process, using renewable fuels is needed for sustainable development. Ethanol which can be produced by pyrolysis and fermentation of fruits, vegetable and agriculture waste is a renewable fuel for clean energy in future. While chemical oxidation of this fuel produces energy through a series of steps of conversion of chemical energy to heat energy, mechanical energy, electrical energy; the electrochemical oxidation of the same fuel over an electro catalytic anode surface gives rise to straight electrical energy with higher efficiency and no polluting substances. The development of inexpensive high energetic electro catalytic material will put forward this energy technology route. The present investigation attempts to develop ZnO-Al2O3 composite electro catalytic material to electro catalytically oxide ethanol solution to electrical energy. The material has been synthesized by electro deposition technique, controlling deposition parameters such as electrolyte chemistry and applied deposition current to produce a high energetic 3D substrate to get the optimum current and hence energy delivered. The material was characterized by cyclic voltammetry (CV), Chronometry (CA), Potentiodynamic Polarization (PP) and electrochemical impedance spectroscopy (EIS). The constituents of the composite were analyzed by XRD and the morphology of the 3D structure were studied by SEM. It was found that electro catalytic property of the material is strongly influence by deposition current and concentration of depositing ions. 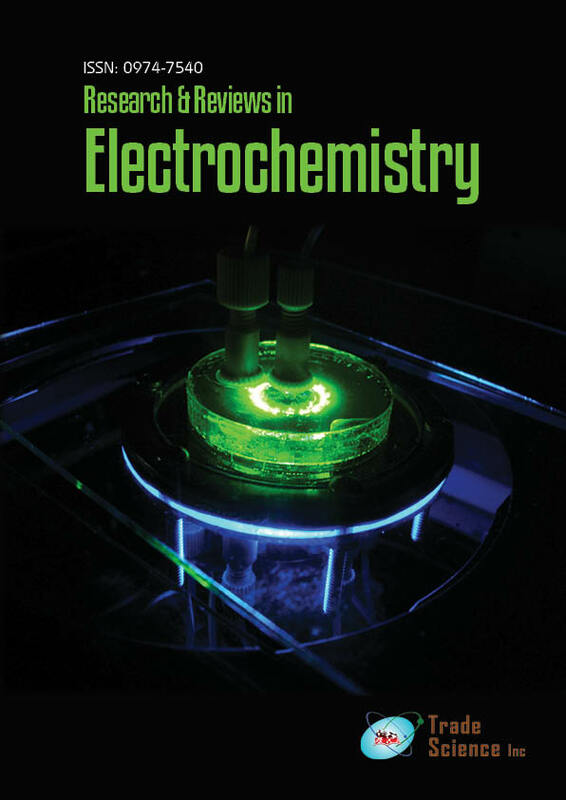 The material with the best electro catalytic property could produce over 250 mA current over 1 cm2 electrode surface area on electro oxidation of ethanol.